Welcome to the Mountain Lakes Board of Realtors. This page will walk you through the Orientation Process as a new member. Please follow each link, watch each video and complete each task. 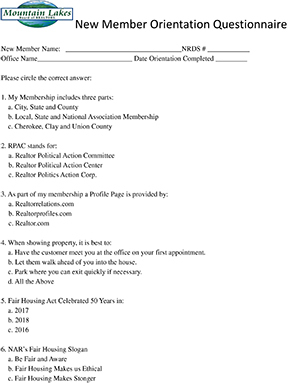 Step 3: Create a .realtor web address www.get.realtor. Choose: Mountain Lakes Account, click help in right upper corner. Under help topics choose Navica Webinars & Tutorials. At which time you will be officially sworn in as a Realtor!